First, let me say that I am a firm believer in the concept that it takes a village to make just about anything of value come to fruition. That’s not to say it’s always easy, because getting everyone in a village to work together toward a common goal is just about the hardest thing that any leader can do. But, as much as it is possible, that should, in fact, be the goal. With that said, logic would dictate that the smaller the village, the easier getting everyone on the same page ought to be, simply because there are less people to communicate with. So, if you are working in a small company (meaning 2-20 people or so), my answer to this question of who you should get involved in your strategy is “just about everybody.” Of course, that doesn’t mean that everyone needs to come to a consensus when developing your strategy. But they should all be involved in providing inputs to your strategy and in having at least some say as to the direction that your company is going. Why? 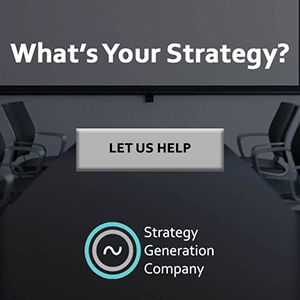 Because, everyone needs to be involved in executing your strategy, and that execution is going to go a whole lot smoother if they all feel some level of ownership during the strategy development phase. This may all sound really obvious, but, in fact, it is actually a lot less common than you might think. Many times, small businesses are run by their founders. And founders sometimes have a hard time remembering that, once they hire employees, their companies are no longer synonymous with themselves. 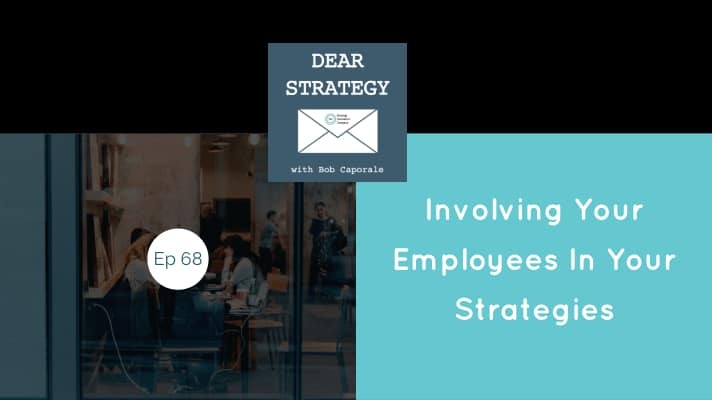 So, although it may seem easy, giving teams some level of ownership and accountability in the company strategy is something that small business leaders need to make concerted and very conscious efforts to do. Of course, if you are part of a larger company, all of this becomes even more challenging. So, my recommendation for leaders in larger organizations is that they develop their strategies in cooperation with some sort of a cross-functional team. If you are in charge of a business unit, that would naturally consist of your direct staff. However, if you are a product manager or in a position with no direct reports, then I would highly recommend that you form a strategic team consisting of at least one representative from each department that will be most relevant to executing your strategy. For a typical product strategy, this might consist of someone from Engineering, Operations, Marketing, Sales, and Finance, at a minimum. Once established, your strategy development team should feel jointly accountable for the success of your strategy. But that will only happen if you foster an environment of true collaboration and co-ownership throughout the development process. If everything goes as planned during that stage, then the execution phase will go that much smoother because you’ll have an entire team of advocates who will make it their jobs to help you socialize your strategy. And this, in turn, will give you a far more likely chance that everyone in your company will be involved in executing your strategy to some extent. I know this may seem a bit far-fetched, especially in very large organizations, but it is possible. And if you make it your mission as a strategy owner to keep your strategy at the top of people’s minds both up and down within your company, you’d be surprised at just how possible all of this is. 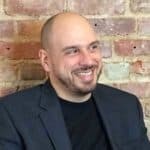 Of course, there is another underlying question about how much time you should ask your team to spend on the strategy process. I mean, it’s not like people have nothing else to do with their time! To answer that part of the question, I’m going to refer you back to last week’s post where I talked about how spending a little more time developing your strategy will save you a whole lot of time on the other side of it. In summary, I believe that every person in every company should have some part in both the development and execution of the company’s strategy. For larger organizations, the amount of that involvement is likely to be inversely proportional to just how large the organization is. 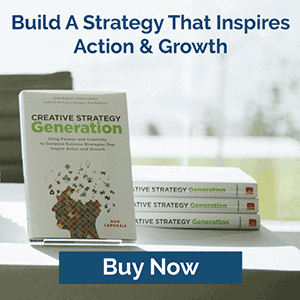 But that should be no excuse for strategy owners not to do whatever they can to get both the strategic inputs and strategic outputs from as many people in their organizations as possible. Be them large or small, companies are nothing more than a collection of people. And company strategies should be nothing more than a collaboration of those people’s ideas and actions toward a commonly agreed upon goal.